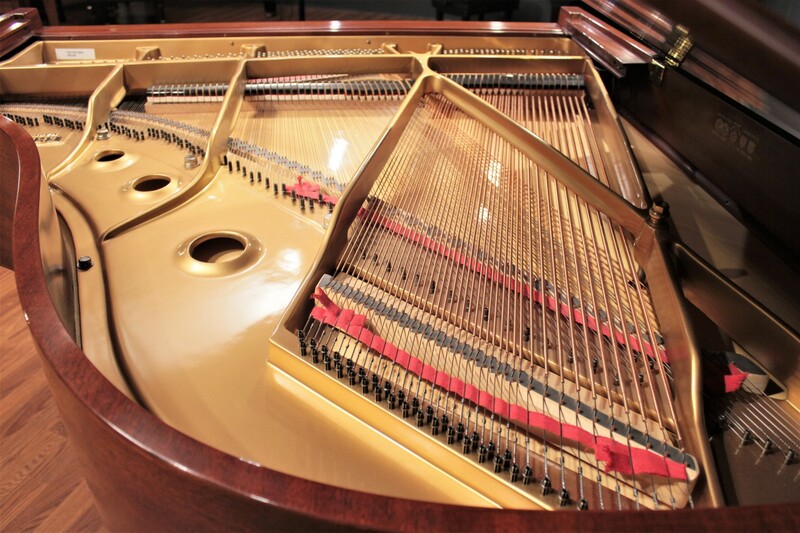 A quality American performance-grade piano, built in 2000. Handsome mahogany finish. Plays itself with newly-upgraded QRS PNO3 player. 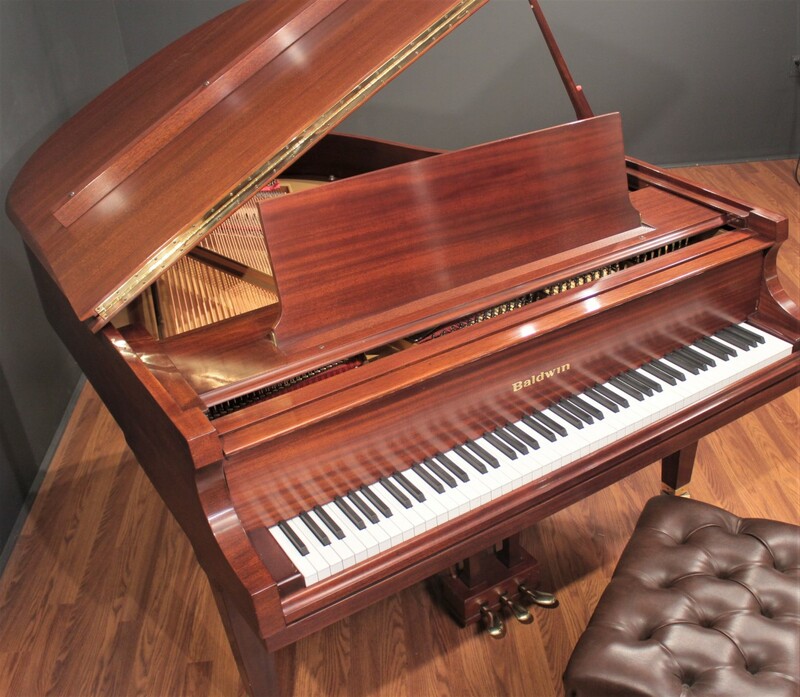 A quality American performance-grade piano. 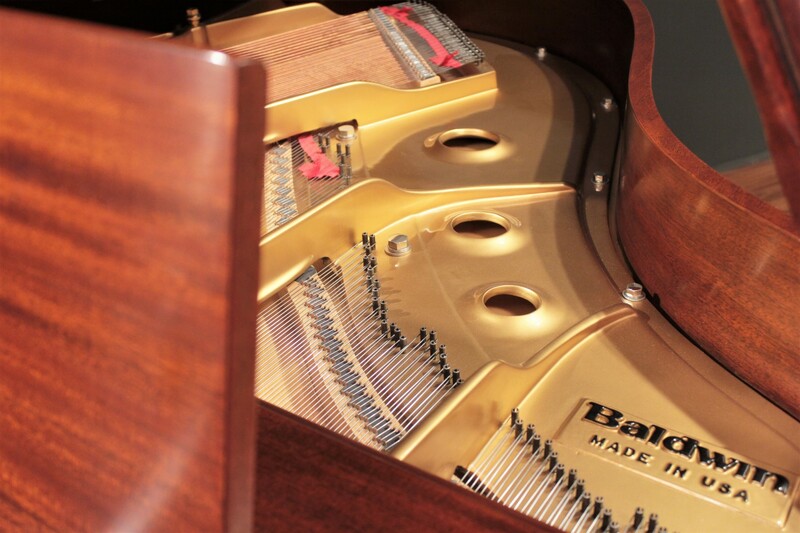 This Baldwin Model R 5'8'' grand piano was built in the United States in 2000. 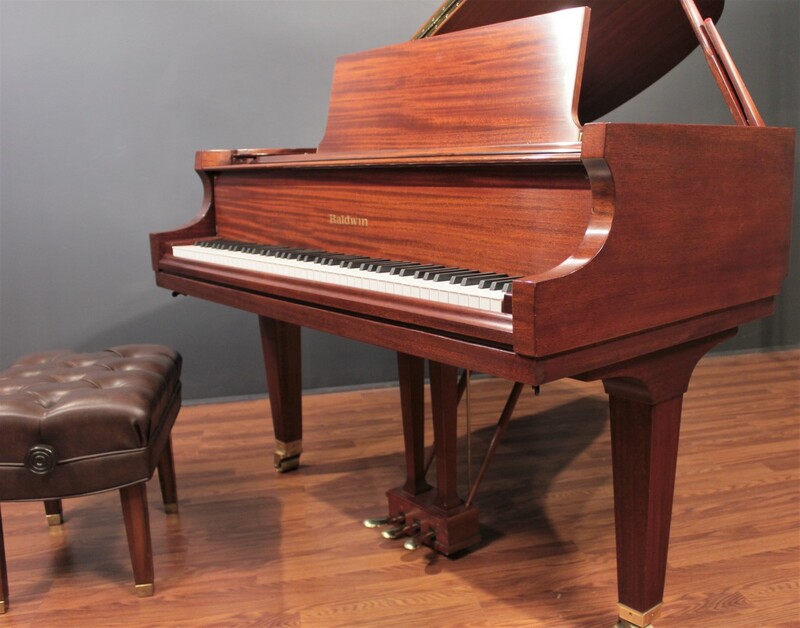 The Model R is extremely well regarded among pianists as a top-grade performance piano, more comparable in tone and musical character to the larger Steinway O or L than the Steinway M. The handsome mahogany finish is rare and sought after among pianos from the modern era, many of which tend to favor polished black finishes. 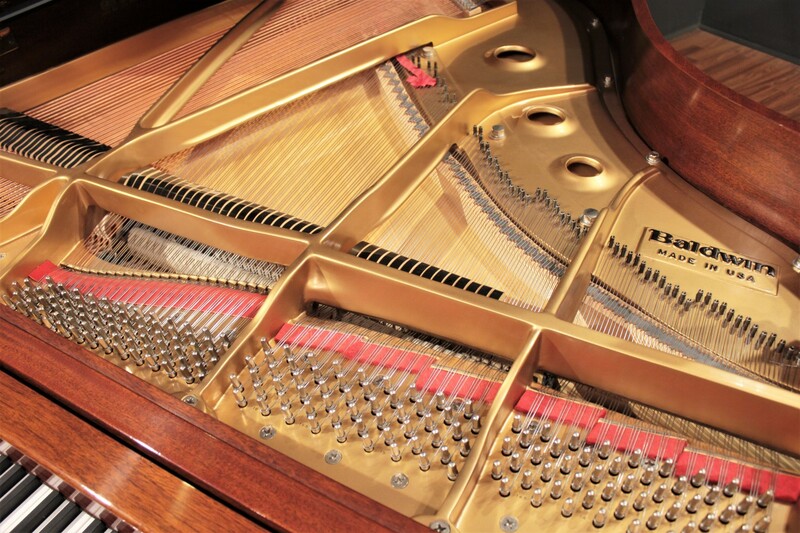 Players will appreciate the mellowness and warmth of this piano's voice. 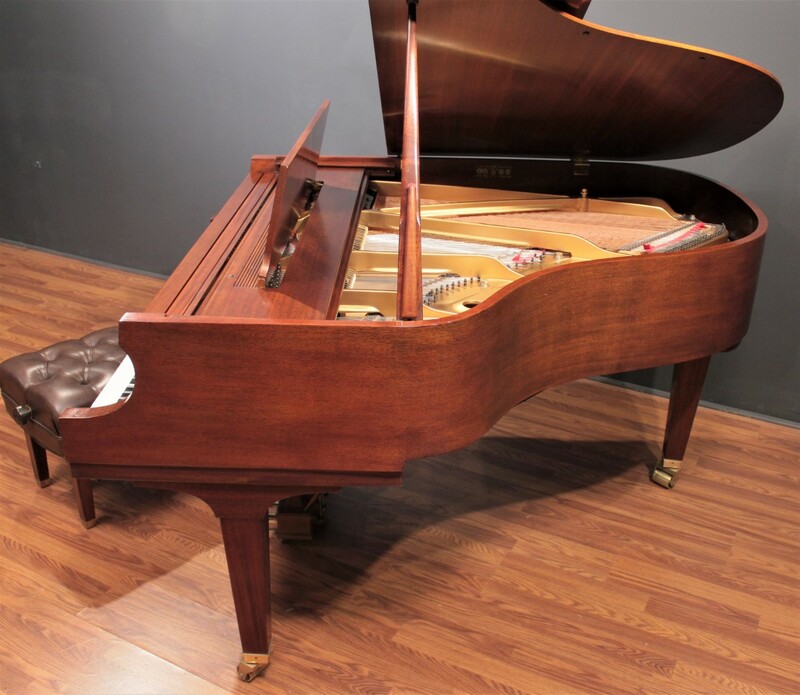 It provides a nice richness that will work well with European concert music repertory and will be a great piano for a Classical performer. A heavier hand produces a surprising amount of power, especially considering the instrument's size. 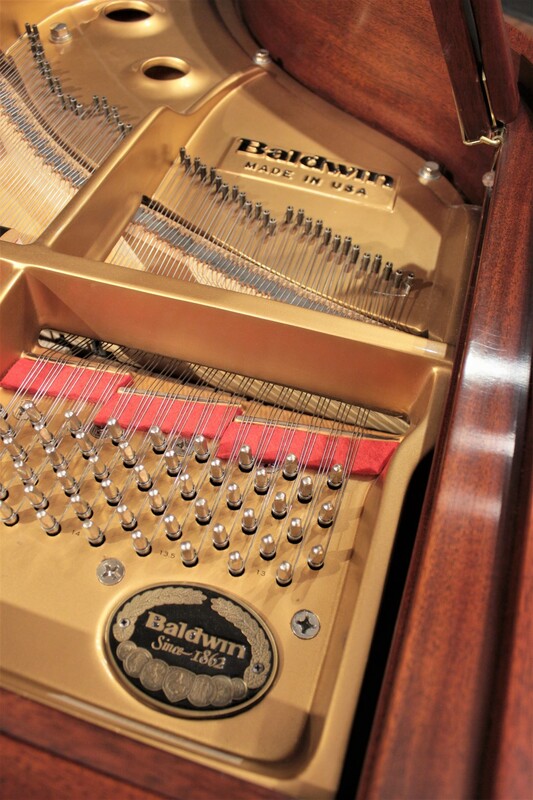 The Baldwin R combines traditional grand piano styling and performance to deliver the full, rich, resonant sound expected from a much larger instrument. 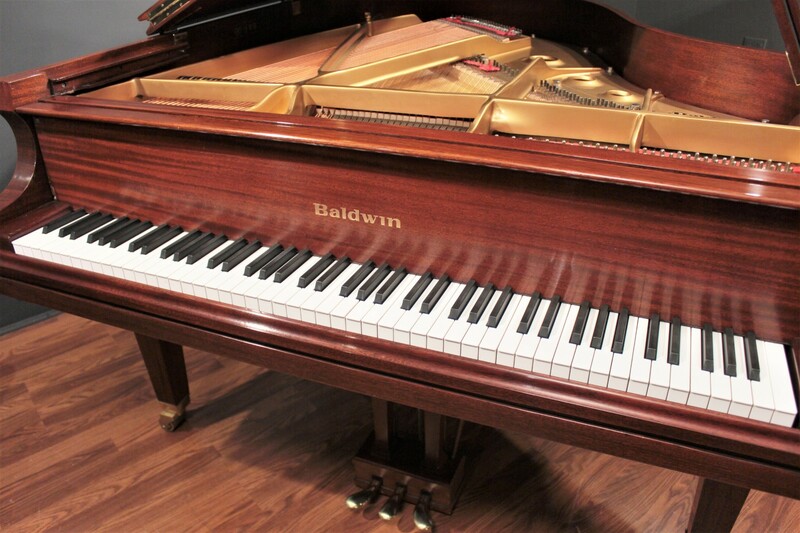 The Baldwin R Artist Grand falls in the middle of Baldwin's size range for grand pianos. This means it will fit beautifully into almost any home. 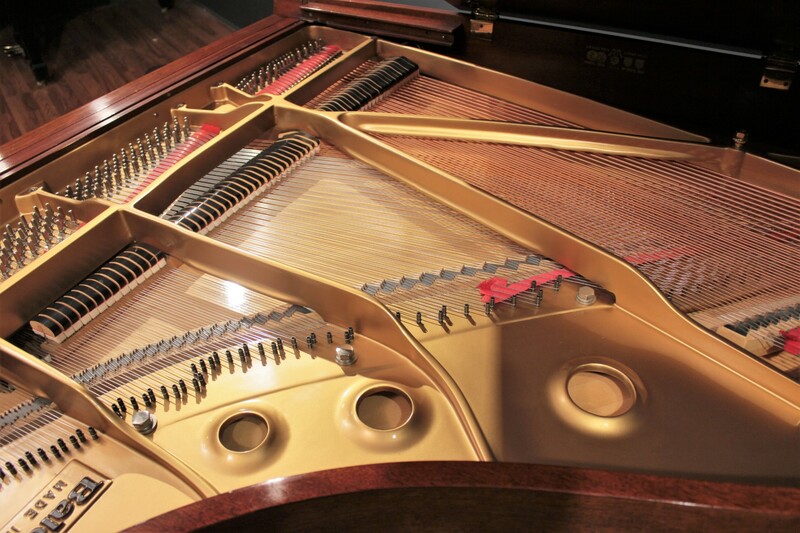 This piano features a pre-installed QRS PNOmation-based player system. 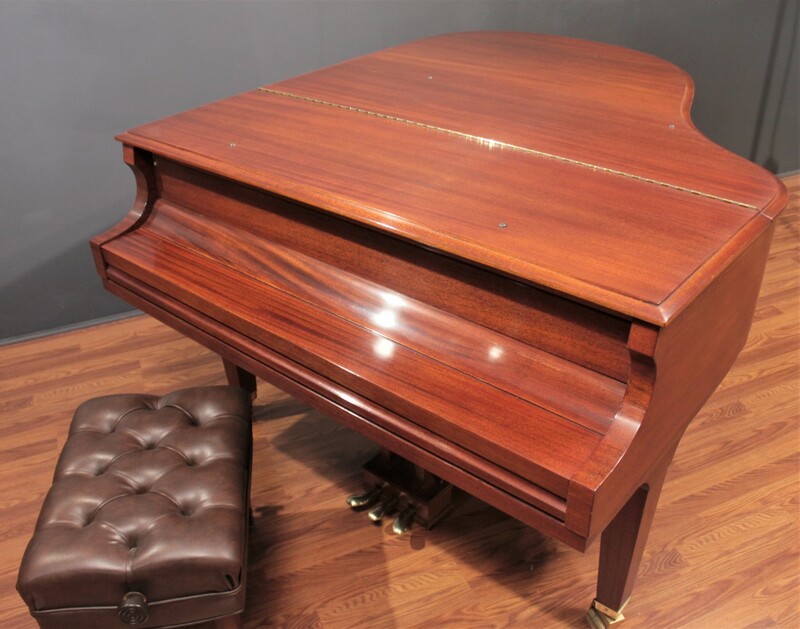 Prior to delivery, we will upgrade this system to the QRS PNO3 player system (included in the selling price), transforming this piano into an iPad-ready, wireless smart home entertainment device. 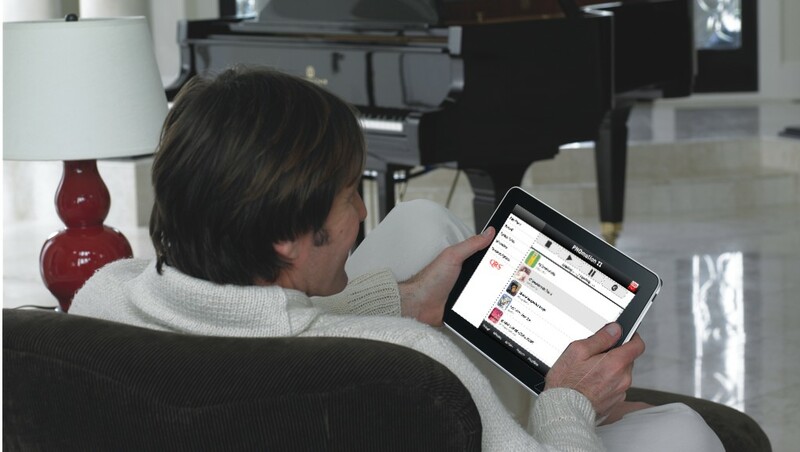 Listen to beautiful piano music anytime you want, produced live at your piano with real moving keys. An included speaker gives you live vocal and instrumental accompaniment.